Full disclosure. I’ve seen first how working long hours can impair your judgment. Doctors, Residents and Medical Students have ludicrous call demands/schedules at teaching hospitals. You should see them post call! Lawyers, Clerks and Articling Students have ridiculous deadlines to meet and pull all nights all too often. You should see them the morning after the all-niter. Taxi Drivers work LONG shifts day after day (and their job is to drive others). Police officers, paramedics and firemen also have some pretty crazy hours. But the story about the unpaid intern, Andy Ferguson in Alberta is no joke and speaks to the dangers of working LONG LONG hours then driving home. First, our thoughts of everyone here at our law office are with Andy Ferguson’s family right now. In case you haven’t heard, Andy was a 22 year old UNPAID intern with the Northern Alberta Institute of Technology. He was completing an internship in order to graduate. He needed to complete a certain amount of hours in order to get his degree. 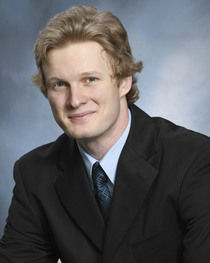 Andy’s internship was at a radio station owned by Astral Media called “The Bear“, a pop rock radio station in Edmonton. Andy was asked to intern the overnight shift. He didn’t want to. He had just completed 3 previous overnight nights, and was now asked to work a 4th. He was told that if he wanted to complete his practicum, he would just shut and do what he was told. Andy was NOT happy, as evinced in a text messages to his girlfriend. He wrote to her “F*ck this place“. In a draft email to his professor at the University, which never got sent, he wrote “it would be nice if the people I worked under showed a little more appreciation and respect for myself“. Andy did his job, and worked the overnight shift (16 hours). He then drove home and it’s believed he was too exhausted to drive home safely. Andy crashed his car on the way home from his internship and is now dead. Andy was an unpaid intern. Because he wasn’t getting paid, his hours are difficult to track as the radio station in charge does not keep records for their unpaid interns. There are discrepancies between the amount of work Andy logged and the amount of work the radio station had accounted for. Is this a case where Andy should have just refused to work the over night shift and jeopardized his graduation? Tough for a 22 year college student to stand up in their first real world work experience and refuse work. I can’t imagine is supervisors or co-workers would have shown him any sympathy. The culture sounds like a “sink or swim” sort of environment. And, to Andy’s credit, he wanted to succeed. Do we need tougher laws with respect to unpaid internships? Probably. Recently, a Barrie MPP was accused of firing a part time paid employee and replacing that person with an unpaid intern, which was in contravention to Ontario’s Labour Laws. But, what I can tell you with absolute certainly is that poor Andy never should have been put in to that position in the first place. Drowsy driving kills. It’s as bad as drunk driving. Does coffee solve the problem? NO IT DOESN’T! The only real answer is not to drive at all. Stay overnight. Call a cab. Have a friend drive. Take transit. Andy might not have been in a position to do any of these. Regardless, I think the people at The Bear radio station, along with the people at Astral, and even the University should take some blame for putting Andy in this position to begin with. I’m sure a personal injury lawyer in that Province is on it. It’s cases like this why I got in to the business in the first place. These sort of cases get the blood and adrenaline rushing. You know that something isn’t right, and you want to get to the bottom of it so that the wrong doers pay. But no amount of monetary compensation will ever make Andy’s family whole again. How do you replace a life? How do you replace a smile or the love and affection which a person radiates? You simple can’t. No dollar figure will ever make Andy’s family whole after this tragic car accident. Legal Note: Fatality damages in Ontario are rather odd and tend to be very low. Before I became a lawyer (which is debatable when because my parents always told me that I was a lawyer out of the womb…but a cute one at that)…anyways..before I became a lawyer, I thought that wrongful death or fatality claims as their known would be the biggest earning claims out there. Unless the deceased party was a top income earner, these cases are actually very small. Well, in Ontario, general damages/damages for pain and suffering are limited to the living. So, if you die within 30 seconds of the car accident, then you’re only entitled to 30 damages equivalent to 30 seconds worth of pain and suffering. But, if the accident led to death, won’t those 30 seconds be excruciating and be worth a ton of money? I’d love to say “yes“, but, more often then not, Courts have found the answer to be “no“. Let’s say that you die at hospital 10 days after the car accident from wounds resulting form the accident. That’s 10 days worth of pain and suffering damages. The real money from fatality claims comes from the Family’s Loss of Guidance, Care and Companionship of the departed. The money also comes from the family’s income loss as a result of the death. Let’s say that Andy was the primary income earner for his family of 3 (wife and 2 kids). Andy, prior to death earned $60,000/year with benefits for the entire family. Those benefits were valued at $7,500/year. Now Andy is dead, and the family has lost $60,000/year plus $7,500 in benefits from their annual family revenue. That sort of money adds up and generates value to fatality claims. But, the reality of Andy the intern’s case is that he was a college student at the time he died. He likely had some student debt, and was NOT earning an income of any real significance. He also didn’t have any dependents (people who counted on his earnings to survive). While Andy’s case is certainly a high profile one given the circumstances of his death, the fact that he died does not automatically entitle him to millions of dollars in Ontario. The law of damages for fatality claims isn’t as generous as you might think. Moral of the story? Don’t die while driving? Don’t drowse and drive? How about show some love and respect to the interns. They’re just trying to get by like the rest of us. Congrats to USA Soccer for Qualifying for the Rio World Cup. They’re doing what Canada can’t do, and that’s score goals, win games and produce a consistent qualifier. Speaking in Canada in International Competition, did anyone catch Canada’s performance at the FIBA World Championship Qualifiers? Talk about disappointment!